As the soul expands within the body, it will consume the heart first. You will notice how others reflect yourself. The connection to all you see will become overwhelming at first as you experience compassion for even the masses. You will gain the understanding of how each are in a different period of awakening. Some will be seen with sorrow and then a spark within their eyes will connect with you and they will look as though they awaken right before your eyes. There will be times you will think someone is on your level of understanding and then you will gain the discernment that they know very little. As the soul moves through the blood, all systems within the body will become activated. You may not feel well when you eat foods that you love in this stage and as you argue with yourself, the whisper will get louder that you must give these foods up to allow the process to flow smoothly for the soul to move through the body for growth. It will be a struggle as you fight with the fear of letting go of a life that you have always known. 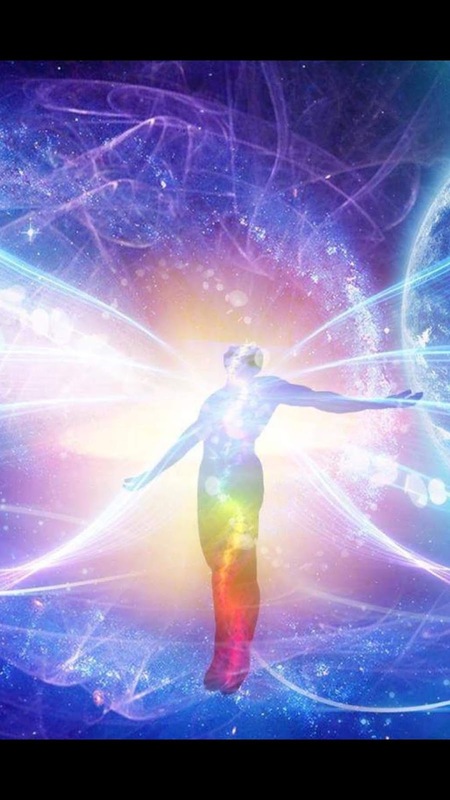 You will be provided visions of what is happening inside of you and the light from the soul will become a web that moves through each vein and each organ. It will feel as though you are lighting up the dark rooms inside that have not been felt for thousands of years. How can this be since your current body is not that old? The memories of all bodies are awakening all the way back to your first body of perfection. As you remember past lives, people, places and things will begin to appear before you from those memories. This holographic illusion will respond to the codes that are being activated within you during this stage of growth. You will experience periods of total exhaustion as the body tries to keep up with the new power that is generated through the chakras. Each power point will bring forth memories of all lives lived in even the simplest of forms that you hold awareness within. You may see yourself as the tree, the ant, the bird or even the rock. You will go back and forth in your mind as you question your sanity. The heighten senses will bring the constant humming in your ears as you begin to vibrate at a higher frequency. You will yearn for some signs to verify that what you are experiencing is real and that you are not imagining a feeling of an over lay from a world that is in your awareness that cannot yet be articulated. This over lay holds a pressure that is felt just above you within the air that can even be held in the breath. How do you explain such feelings? How do you ask others if they can see sparkles come and go that appear randomly during the day? How do you explain a thought or a conversation that coincides with a picture or a song at the same time? How do you explain the bird that appears when your stomach does flip flops? The soul is all consuming as the spirit nourishes this planet through the sun. The higher realms are commanded to cover this planet in the light of knowledge. You are becoming the light. As the mind and body intertwine with the soul, the spirit pours more knowledge onto the planet for the unveiling of all truths. Those who hold on to secrets will become physically ill as the soul spreads through the body to shine all truths. You will judge yourself in this stage as you fight with the thoughts of whether you are worthy of the light of truth. The light of truth is all loving, yet not all will embrace this love because of their own inabilities to love the self. The struggle to love the self will ultimately result in self-destruction if the mind and body are not cleansed. No one can cleanse the body and mind except for you. The outcome of this stage depends upon the ability to surrender one’s self to the all loving light of truth. The body will respond to the soul based upon the purity of the mind and heart. If the heart is pure and the mind is not, the struggle will continue. This is called by some as the final battle when all time ceases. All truths will be revealed in this final battle. 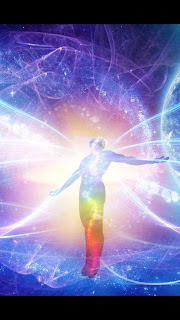 Those who embrace the truths will experience the formation of the light body that all souls strive to create. All time will then cease, and the new heavens and the new earth will emerge.